Todosanterita in Guatemala, involved in the production and marketing of coffee. Plus, raffle for a Fairtrade hamper and Essex’s first ever Fairtrade quilt! or email: events@chelmsfordstar.coop to reserve your space! 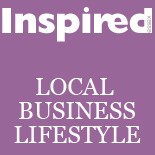 This entry was posted on February 7, 2013 by inspiredessex in Business, Chatty, Essex Events, Gentlemen's Den, Ladies Time Out and tagged Chelmsford Magazine, chelmsford star, Essex Magazine, essex weddings, Inspired Essex Magazine.